Erin Towler is a Project Scientist in C3WE with research interests spanning the water-climate-decision interface. Erin uses her expertise in water resources and passion for use-inspired research to develop creative tools that make global climate risks relevant to local water and natural resource management. Her work has contributed to understanding climate risks to water quantity and quality, with applications in water supply, drinking water sources and treatment, and environmental flows. 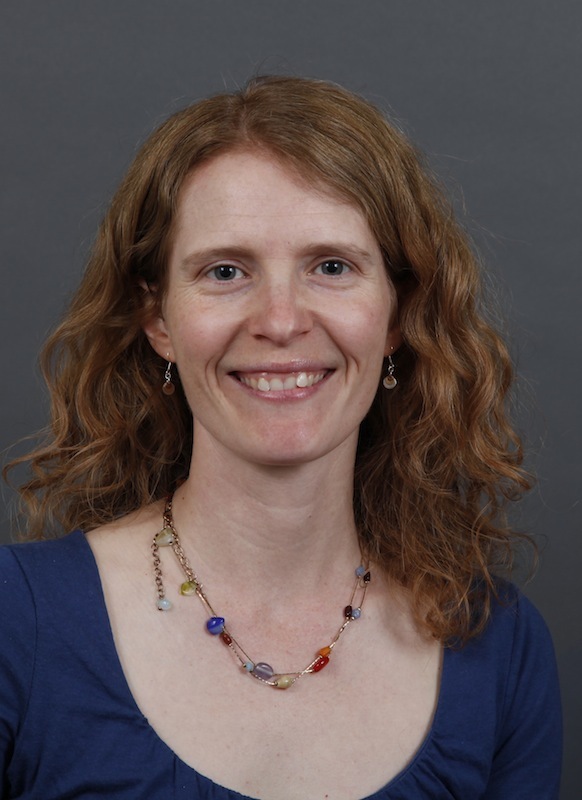 Erin received her PhD in Water Resources Engineering from the University of Colorado Boulder in 2010. Current projects include our Understanding Decision-Climate Interactions on Decadal Scales (UDECIDE) project, which aims to understand the skill and potential usage of decadal climate projections in water management, and the development of an interdisciplinary research framework to better understand drought risk, including tools to downscale to local drought and directly to drought impacts. A project with the US Bureau of Reclamation: “Detecting, Interpreting, and Modeling Hydrologic Extremes to Support Flexible Water Management and Planning” explores the use of weather types and Extreme Value Theory in planning for extremes in the US Southwest. Erin leads C3WE’s Regional Climate Tutorial, which provides an overview of best practices for developing regional climate data and how it can be used for impact assessments. She is a Postdocs Applying Climate Expertise (PACE) alumni and serves on the PACE Oversight Committee. Towler E, Lazrus H (2016), Increasing the usability of drought information for risk management in the Arbuckle Simpson Aquifer, Oklahoma, Clim Risk Manage, doi:10.1016/j.crm.2016.06.003. Towler E, PaiMazumder D, Holland G (2016), A framework for investigating large-scale patterns as an alternative to precipitation for downscaling to local drought, Climate Dynamics, doi:10.1007/s00382-016-3116-5. Done JM, PaiMazumder D, Towler E, Kishtawal CM (2016), Estimating impacts of North Atlantic tropical cyclones using an index of damage potential, Climatic Change doi: 10.1007/s10584-015-1513-0. Murphy DJ, Wyborn C, Yung L, Cleveland C, Eby L, Dobrowski S, Towler E, and Williams DR (2016). Engaging Communities and Climate Change with Multi-scale Iterative Scenario-building in the Western US. Human Organization, 75 (1). Pal I, Towler E, and Livneh B (2015), How can we better understand low river flows as climate changes?, Eos, 96,doi:10.1029/2015EO033875. Towler E, Rajagopalan B, Yates D, Rodriguez A, Summers RS (2013), An integrated approach to simulate stream water quality for municipal supply under changing climate, J Environ Eng, 139(12): 1432-1440, doi: 10.1061/(ASCE)EE.1943-7870.0000766. Towler E, Roberts M, Rajagopalan B, Sojda R (2013), Incorporating probabilistic seasonal climate forecasts into river management using a risk-based framework, Water Resour Res., 49: 4997-5008, doi:10.1002/wrcr.20378. Towler E, Saab V, Sojda R, Dickinson K, Bruyère C, Newlon KR (2012), A risk-based approach to evaluating wildlife demographics for management in a changing climate: A case study of the Lewis’s Woodpecker, Environ Manage, 50(6): 1152-1163, doi:10.1007/s00267-012-9953-z. Bruyere CL, Holland GJ, Towler E (2012), Investigating the use of a Genesis Potential Index for tropical cyclones in the North Atlantic Basin, J Climate, 25(24): 8611-8626, doi:10.1175/JCLI-D-11-00619.1. Towler E, Raucher B, Rajagopalan B, Rodriguez A, Yates D, Summers RS (2012), Incorporating climate uncertainty in a cost assessment for a new municipal source water, J. Water Res Pl-ASCE, 138:396-402, doi:10.1061/(ASCE)WR.1943-5452.0000150. Towler E, Rajagopalan B, Gilleland E, Summers RS, Yates D, Katz RW (2010), Modeling hydrologic and water quality extremes in a changing climate: A statistical approach based on extreme value theory, Water Resour Res, 46, W11504, doi:10.1029/2009WR008876. Towler E, Rajagopalan B, Summers RS, Yates D (2010), An approach for probabilistic forecasting of seasonal turbidity threshold exceedance, Water Resour Res, 46, W06511, doi:10.1029/2009WR007834. Towler E, Rajagopalan B, Summers RS (2009), Using parametric and nonparametric methods to model total organic carbon, alkalinity, and pH after conventional surface water treatment, Environ Eng Sci, 26(8):1299-1308. Towler E, Rajagopalan B, Seidel C, Summers RS (2009), Simulating ensembles of source water quality using a k-nearest neighbor resampling approach, Environ Sci Technol, 43(5): 1407-1411. Climate risk in water and natural resource management; Impacts of climate extremes on hydrology and ecology; statistical downscaling.